Come and visit Malaysia’s historical city Melaka and be spoiled for choices for your next tourist destination in the state. One of the many must-visit tourist places in Melaka is Pulau Besar (aka Big Island). If you are one who loves an adventure very close to nature, Pulau Besar is a perfect gateway for you. Your adventure lies about 10 km from the mainland. You will embark from the mainland jetty to get your destination by motorboat. If you are not up for a motorboat trip, you can always opt to take the ferry from the Anjung Batu jetty. The ferry is also a great way to travel and is available every 45 minutes. 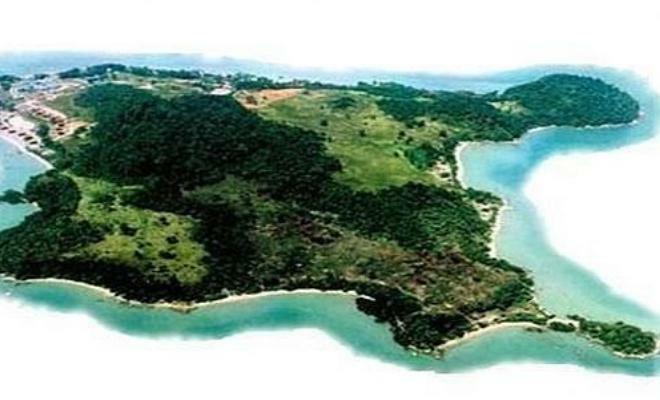 From afar, visitors can definitely make out the shape of the Pulau Besar. It looks like a pregnant woman having a nap on her back. Islands that resemble life like shapes will definitely be shrouded in myths and legends and Pulau Besar has its own legend to it. The locals who live here believe that that the island is a holy place. That’s why, visitors to the Big Island are usually told to abstain from eating park before visiting the island. On the island is a mausoleum which the locals believe belongs to a Wali. It is a great place to start out your tour of the island. Sun block and good walking shoes are a must have while you are here because there is quite a lot of walking to do. The scenery from the island is beautiful. It is covered with lush greenery that occasionally allows a sneak peak at the beautiful water down below. Pulau Besar is also home to the grave sites of local warriors and figures like that of the Nenek Kebayan and Datuk Janggut; a local hero. There is a site on the island that was the place where seven graves were uprooted to give way to a hotel and golf course destination. It was said that the success of the resort was not allowed because of the location and has since been closed down only after a few years of operation on the island. When having holiday on the island, do make it to the peak of the trail to see one of the tourist attractions. At the peak lies a huge boulder that has been sliced down its middle. It has been aptly named by the locals as Batu Belah which literally means split rock. On your way down, you may want to drop by at the cave which was locals say was the mediation spot for the Wali. If you are interested to go on a treasure hunt here, you may want to look for the foot print of the Wali, which was spotted on one of the boulders here. It certainly is a great place to have an adventure. Accommodation on the island is also easily accessible and reasonably priced.